Consumers expect safe food products from companies, so a certified Food Safety Management System is proof of this commitment to duty of care. Customers are now more aware than ever about the safety of their food purchases. Having a Food Safety Management System in place helps consumers gain greater confidence and trust in a brand and their products. Not having such a system in place for food safety practices can result in a significant hit to overhead costs and the company’s name. Having a Food Safety Management System verifies the standards of safe food handling practices put in place by the organisation and prevents unsafe foods from reaching further down the chain to an unaware customer. Following Food Safety Management System protocol safeguards the food processing steps, by having internal checks and balances to ensure that consumers aren’t ingesting anything harmful. The Food Safety Management System also increases the understanding of duty of care that food processing plants and companies must abide by in their industry as responsible producers in the wider community. A Food Safety Management System certificate is typically made up of the Hazard Analysis and Critical Control Point (HACCP), Good Hygiene Practices (GHP), Good Manufacturing Practices (GMP) and Quality Management Systems like ISO 9001. A Food Safety Management certification oversees a food safety or hygiene certificate accredited by various state bodies throughout Australia, whether it’s a hotel staff under Brisbane City Council, an aged care facility in Sydney verified by the NSW Food Authority, or a new Melbourne cafe signed off by the Victorian Department of Health and Human Services. An FSMS certificate assures that the Food Safety System has been assessed for best practice in comparison to the standard commonly found compliant. An independent certification body issues the certification, assuring customers that food safety standards have been met. Following the proactive, step by step methodology for identifying and analysing food processing risks and hazards, the FSMS is a prevention based food safety system intended to help food handlers follow correct procedure when food is at a critical, harmful state for consumption. The food safety elements within the standard to ensuring the safe consumption of food products include good hygiene and manufacturing practices. Hygienic practices incorporate treating raw materials, processes, equipment and all personnel involved in the production stage with the utmost care and standardisation, every step of the process. Often included alongside the Quality Management System (QMS), the Food Safety Management System naturally overlaps with the standards required of quality management in food production facilities. Ensuring that all parties are aware of their responsibilities along the food processing chain is key to an efficient and effective Quality Management System. 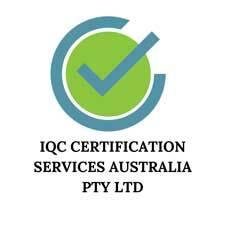 For business owners in Sydney, Brisbane, Melbourne, Perth, Adelaide, Canberra, Darwin, Hobart and beyond, contact us to get your business accredited with the most applicable certificates in food safety and hygiene certification.